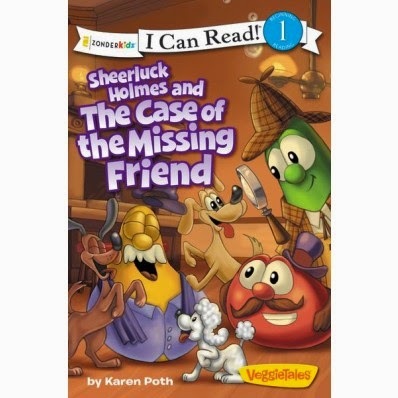 In the newest addition to the VeggieTales I Can Read series, Sheerluck Holmes and the Case of the Missing Friend, our Veggie friend Sniffy’s feelings are hurt, and he disappears from the Pizza Place. His friends are worried and ask Sheerluck and Dr. Watson for help finding him. Will they find Sniffy before the hounds of Baker Street do? And will Sniffy ever forgive his friends for treating him poorly? Books that will help teach my kids how to treat people are books I want to read and reread to them. The Gold rule is one that aligns with the loving others a command God gave us! This book takes the kids on a little mystery before discussing hurt feelings and forgiveness. This book is only $3.99 on Zondervan!